This book is written in Japanese. You can buy this from any Amazon store in the world, either as an e-book or printed edition. This is a book for how to use PCs and the internet, designed for people who can use email and browse the internet, but that is all. Basic editions and self-help editions are available. The goal is to become a creator of digital materials and distribute or sell on the internet. 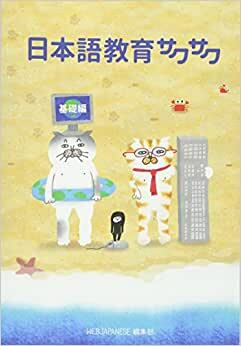 It is written in Japanese and aimed at Japanese language teachers. It will be extremely helpful for teachers who make materials at school. The book is available in three editions - printed, ebook and web editions. The printed and the ebook editions are available to purchase, but the web edition is free for browsing under license CC BY-NC-SA. We have tried this way so that as many educators as possible will be able to learn effectively.